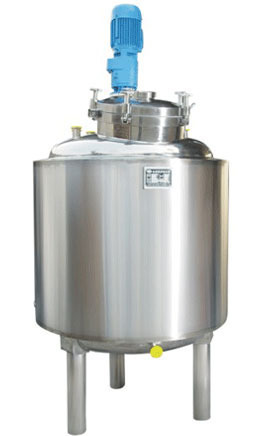 With enriched industrial experience and knowledge, we are providing a wide range of Jacket Tank. The provided tank is well-manufactured by our deft professionals using best quality stainless steel at our production unit. We, Sharp Process Equipments, commenced our journey in 2001 as a leading manufacturer of an exclusive array of Liquid Syrup Manufacturing Plant, Ointment Manufacturing Plant, Liquid Oral Manufacturing Plant, Liquid Processing Plant, Sugar Melting Vessel, Cosmetic Manufacturing Plant, Jacketed Tank, Mixing Vessel, Lotion Manufacturing Plant, Cream Manufacturing Plant, etc.